Numbers are one of the basics when learning French. While learning the basics of the language can at times be frustrating for beginners, repetition and practice with a variety of learning aids and tools, like printable practice sheets, can make the process easier. 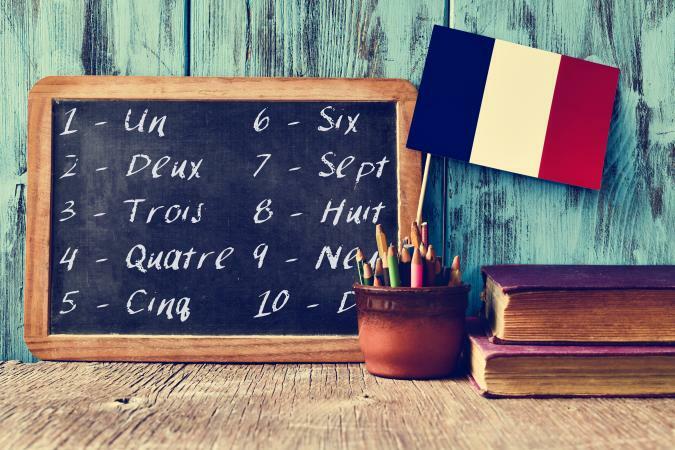 Once you've reviewed the basics of French numbers and counting, you're ready to test what you've learned. If you need help downloading the printable, check out these helpful tips. Learning the numbers one through ten is pretty straightforward. It just takes memorization and a bit of practice. French numbers through twenty also have unique translations, but counting Fernch numbers beyond that is a bit easier up until seventy, since the twenties, thirties, forties, fifites, and sixties build on base number terms. The written form includes the base term (twenty, for example, is "vingt"), followed by a dash, and then the corresponding French single number. The exception is one, which adds et-un to the base term. "Vingt-et-un" would be twenty one, then vingt-deux is twenty two, vingt-trois is twenty three, and so on. Seventy through ninety add larger French numeral terms to obtain the number. For example, seventy is "soixante-dix." Sioxante is sixty, and dix is ten, equaling the desired number of seventy. One hundred through nine hundred and ninety nine additionally have "cent" added to achieve the correct number. For instance, cinq cent is five hundred. A printable worksheet is an excellent learning tool that will have you counting in French just as comfortably as you do in English. And remember, just as it is important to know how to count in French, it is equally useful to have the correct pronuncation too. Practice makes perfect!